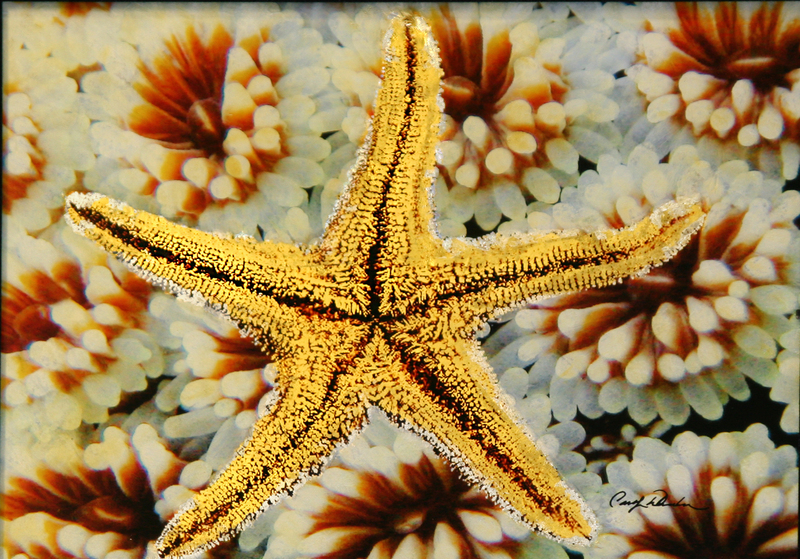 The starfish or ‘sea star’ dates back to the Ordovician period over 1.5 million years ago. They inhabit the earth’s oceans from sea level to depths of 20,000 feet. This Asteroidea floats boldly above the anemones of Monterey Bay and is presented here in 24k gold with pure silver lining. 11″ x 14″.